Did you know that people who use cash spend 12%-18% less than people who use plastic? 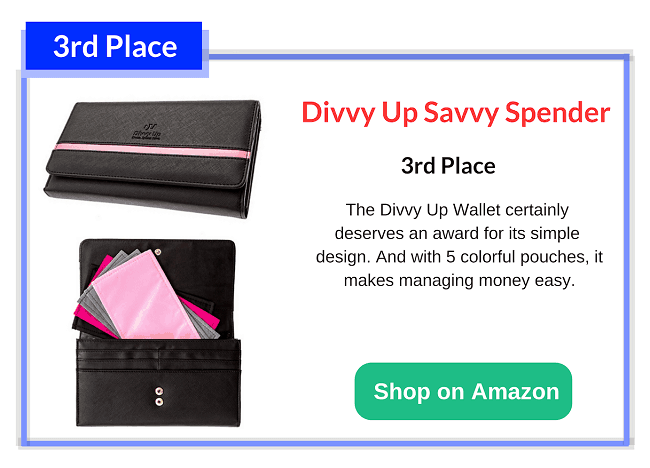 So that’s why you’re here looking for the best cash envelope wallet – and we’ve got you covered! 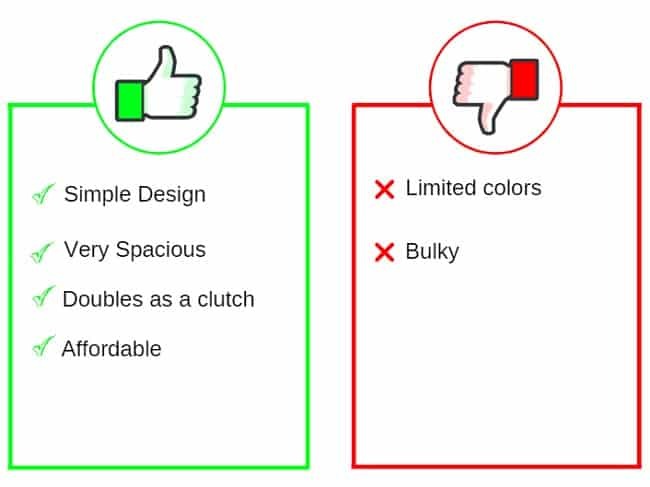 In this product comparison, we’ve narrowed it down to our top three. 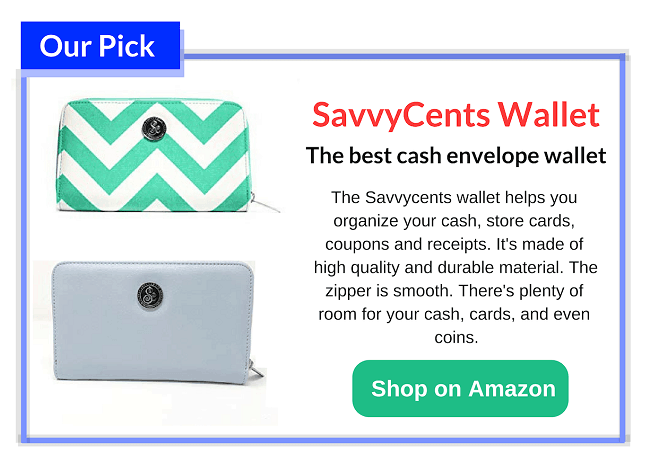 Of all the wallets we tested, the SavvyCents was the clear winner. It’s not only affordable ($30 at the time of this review) but it met all of our quality standards. 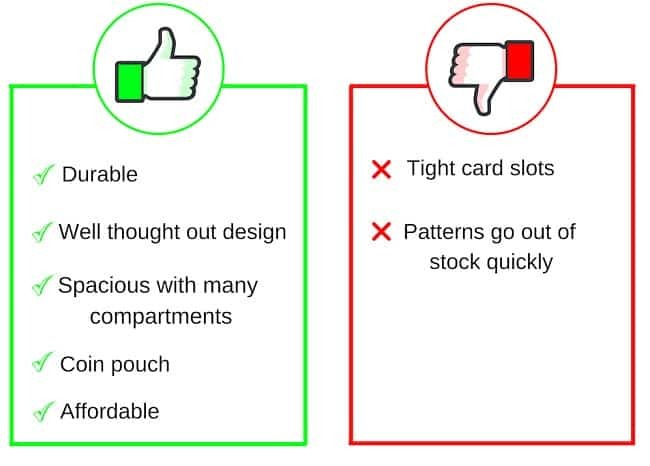 It’s also one of the most reviewed and popular wallets on the market – and for good reason. Quality wise, the wallet feels very nice. It’s heavy enough to feel durable but lightweight enough to carry around. The material is faux leather, which makes the wallet look more expensive than it actually is. Since it’s one of the more affordable, we were pleasantly surprised that they didn’t skimp on quality with this one. Size wise, we found it to have plenty of compartments and slots. One of the biggest pros is the coin pouch on the back. Even though this wallet is for a cash system, we’re happy to see that it still has plenty of places to fit cards and coupons. The accordion style folder comes in handy too. There are five dividers. It also includes pre-printed and blank labels so you can easily customize your budgeting categories. One con we noticed is that the driver’s license slot is tight. So it made pulling it out a little trickier. We like that they regularly come out with new patterns throughout the year. Unfortunately though, some of our favorite patterns got discontinued with the new releases. 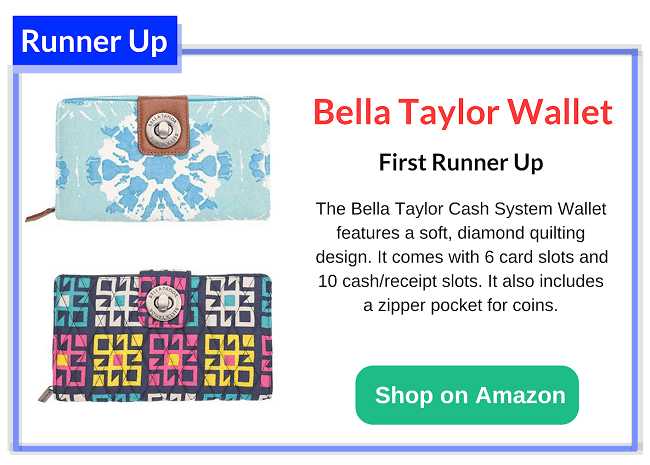 With its nice cloth exterior and flap design, the Bella Taylor wallet came in as first runner up. If you need a large wallet, this one is for you. There are 9 colors to choose from, so you’re sure to find something you love. When we first got it, we noticed the turn clasp was sturdy and there were no loose threads or sewing errors. It comes with 6 card slot holders and 2 ID slots. Like the Savvycents wallet, the Bella Taylor has an accordion style folder. 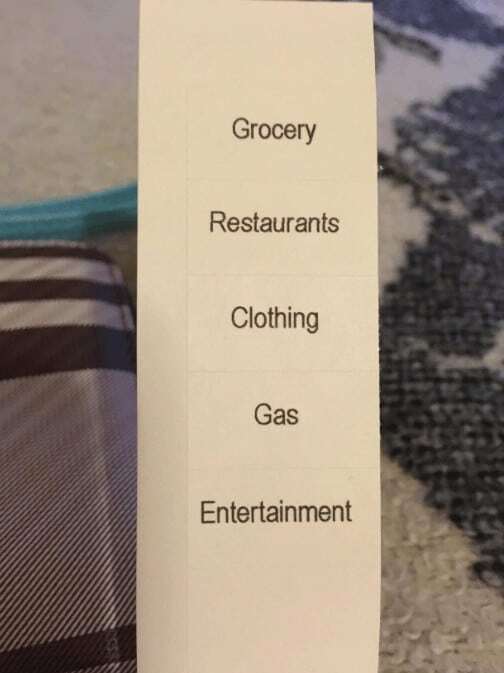 It also includes pre-printed labels for your cash categories. 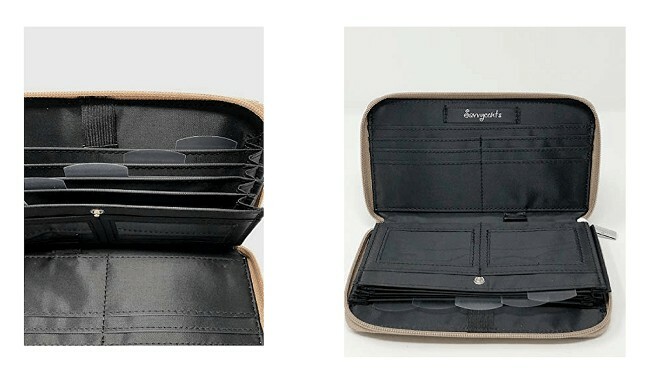 This wallet is ideal for someone who carries a lot of cash or needs plenty of space. 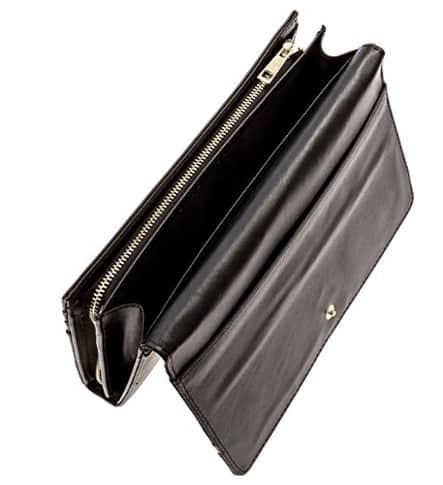 In fact, this wallet is large enough that it might double as a clutch. With that said, we didn’t find this wallet to be as durable or high quality. It felt nice in hand, but the internal structure was flexible and flimsy. This is disappointing considering the wallet is a little more expensive than some of the others ($45). Unfortunately, several others said they had issues with the clasp falling off. However, we had no issues with the clasp. This wallet has several patterns to choose from – mostly in bohemian style designs. We did feel like some of the designs looked outdated. Or “old lady chic” as one of our readers put it. So if you’re looking for a chic leather style wallet, then the Bella Taylor may not be for you. If you’re looking for a simple design in a wallet, the Divvy Up is a great choice. They currently offer two colors: black and a black/brown combo. 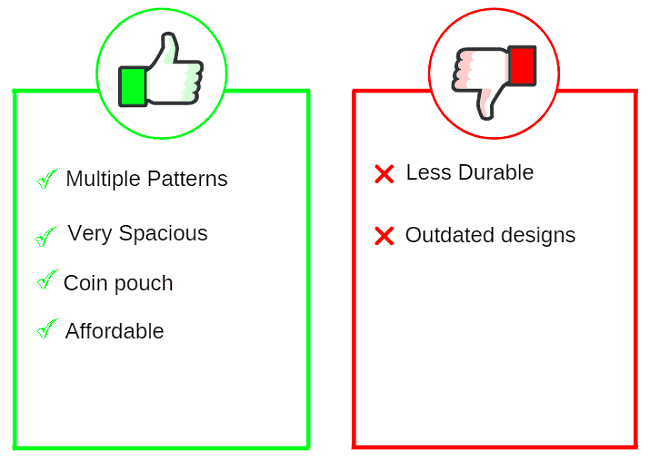 Overall, we thought the quality of this wallet was very nice. It’s durable enough to last you for years to come. It’s also large enough that you don’t have to worry about not being able to close it shut. So similar to the Bella Taylor, this wallet could also double as a clutch. 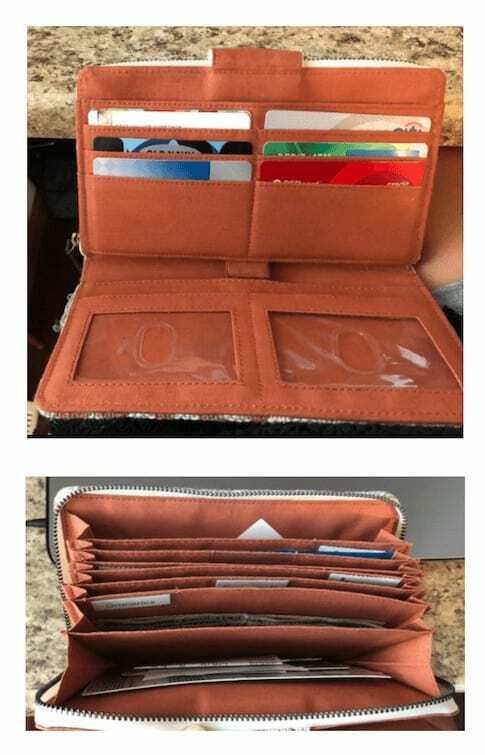 Which is great if you want your wallet to be dual purpose. It could easily fit our phone. We also liked the five reusable pouches that came with the Divvy Up. They made dividing and storing cash easy. 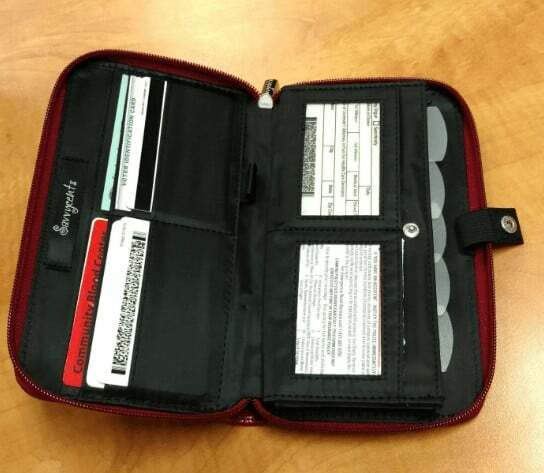 And like the others, this wallet also comes with labels for easy categorizing. 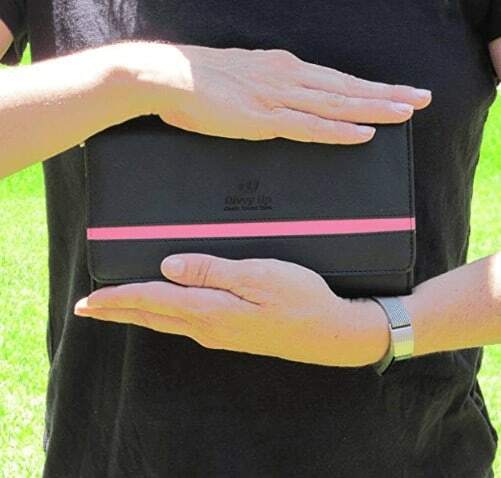 It’s by far the largest of all the wallets we reviewed. It has 12 slots, 2 long pockets, and a zipper pouch. This wallet doesn’t have the accordion style filing system. This makes it seem less like a cash envelope wallet and more like a regular wallet. This is a great option for someone who is wanting a multi-purpose wallet. But if you were expecting solely a cash envelope wallet, the size and setup of this wallet might be a con. This wallet definitely takes up a lot of space and can be quite bulky at times. Once upon a time, I used to have an envelope for clothing. But after several months of never using any money from that category, I decided to cut it out. Instead, I put that money towards groceries because I struggled with that category the most. With my debit card in hand, it was just way too easy to overspend in that area. By using my cash wallet and sticking to a list, I’ve been able to save $200 each month. If you’ve only budgeted $125 for eating out this month and go grab lunch, don’t take all $125. Instead, only take the $10 or $15 it costs to actually buy your lunch. Not only will this force you to spend what you intended to, but it keeps you on track to meeting your financial goals. It can take a few false starts before you get everything perfected. But don’t worry, developing a good cash system takes time. The key is to identify what works and what doesn’t. Are you overspending in certain areas and under-spending in others? Get clear on your numbers so you can make the necessary adjustments. Are you going to borrow from other categories if you run out of cash in others? Is using plastic completely off limits? Does the leftover money go into savings or towards next months envelopes? It’s good to be prepared for these things because they will come up! Using cash can take some getting used to! But studies show that people who use cash save more money than those who don’t. Aren’t those odds you’d like to have in your favor? You can do it! Plus, finding the right wallet makes it so much easier. What do you think? What cash envelope wallets do you like? Let us know below!